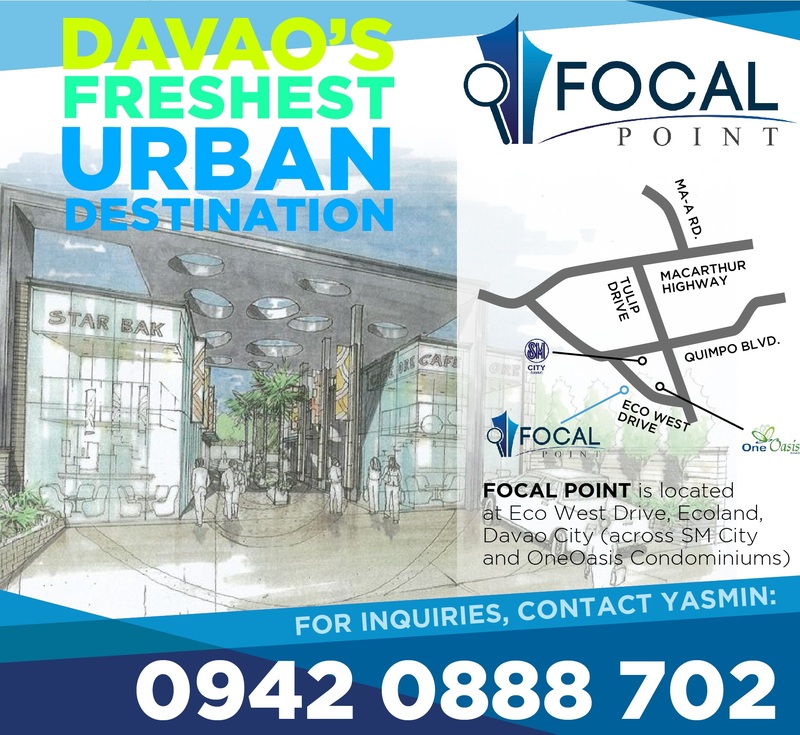 Along the progressive thoroughfare of Eco West Drive, a stone’s throw away from SM City Davao and One Oasis Condominiums, sits Davao’s freshest urban destination: Focal Point. Now open for space applications, Focal Point is a great place for business meetings, relaxing after a day has unfolded, or shopping to your heart’s desire. Initially envisioned as a den for upcoming homegrown and international brands, Focal Point’s aesthetically appealing design and functionality will truly captivate your senses. With a great location and high quality construction, Focal Point targets upper to middle class markets–from barkadas, families, small and medium enterprises, to big organizations. “Davao is truly Philippine’s next economic giant, and we feel good taking part in its development. We are confident that Focal Point will provide a noteworthy landmark in our city’s rich business and lifestyle landscape”, shares Mr. Taggart Siao, the General Manager for Dagny Realty, the developer of Focal Point. With this promising new addition to Davao’s map, we’re sure to have more fun, more productive, and livelier days ahead. For space inquiries and scheduled ocular visit, please contact 0942 0888 702 and/ or email prepdavao@gmail.com.